"Western civilization was at stake, and we're going to fight until we win." 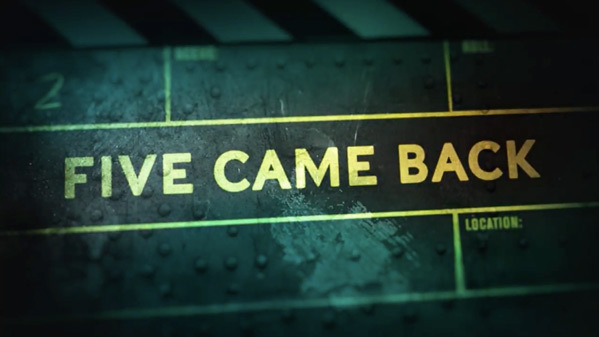 Netflix has unveiled a trailer for a new three-part documentary series titled Five Came Back. I'm breaking our rules to share this trailer, because it's a docu-series about filmmaking (and filmmakers) and specifically about WWII movies, which is one of my favorite genres. Five Came Back is executive produced by Steven Spielberg (also interviewed in the doc), Scott Rudin and Barry Diller, featuring narration by Meryl Streep. The title refers to "five" filmmakers who helped change the way the American people saw and understood World War II. Those five filmmakers were: John Ford, George Stevens, John Huston, William Wyler, and Frank Capra. The footage in this looks amazing, and I'm super excited to watch this series when it airs in March. Check this out below. For more on the series Five Came Back or to add to your Watchlist, visit the official page on Netflix's site. The extraordinary wartime experience of five of Hollywood's most legendary directors -- John Ford, George Stevens, John Huston, William Wyler, and Frank Capra -- all of whom put their stamp on World War II and were changed forever by it. Based on the nonfiction book by Mark Harris, and executive produced by Steven Spielberg, Scott Rudin and Barry Diller. 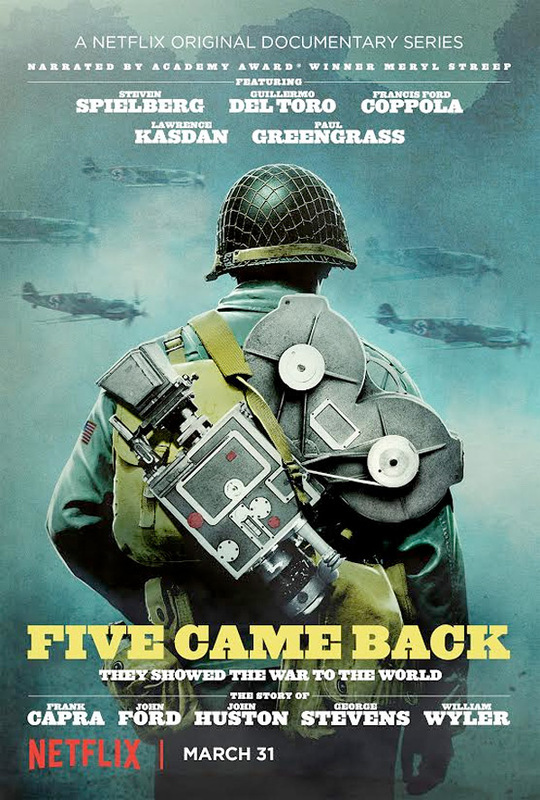 Five Came Back is a three-part documentary series produced by Netflix. The series is directed by filmmaker Laurent Bouzereau, a veteran producer who has been creating the "The Making of" videos for all of Spielberg's movies since Jaws and E.T. (which were made in 1995/1996). Netflix will release Five Came Back streaming starting March 31st this spring.